As a little girl growing up 30 minutes outside the Cherry Blossom lined streets of the nation’s capital, Jessie Chesson has always been captivated by the seasonally pink city. When it came time to go to college, Chesson chose the esteemed local institution, Howard University. Her first job after graduation took her to New York City, but eventually the call of her hometown brought her back. Chesson returned and spent four years working with minority-owned fast food franchisees through her job at a D.C. advertising agency. Later, she spent more than 14 years working in multicultural marketing for a Fortune 10 company, where she focused on sponsorships and events for African Americans and marketing campaigns for multicultural customers. “Having grown up in the area, and being a woman of color, I found myself in a unique position to empathize with and support my urban community,” says Chesson. So when a colleague of Chesson’s left the corporate world to work for a Chick-fil-A in nearby Maryland, it caught her attention. He ended up introducing Chesson to that restaurant’s owner, Keith Singletary who ultimately inspired her to become her own boss and open a restaurant. “Deep down I always wanted to be an entrepreneur. Chick-fil-A was the perfect opportunity because I could own a business while serving my community,” says Chesson, who also graduated from D.C.’s George Washington University with her M.B.A.
Of course Chesson didn’t want to serve just any community. She wanted to serve D.C., and she was willing to wait for it. 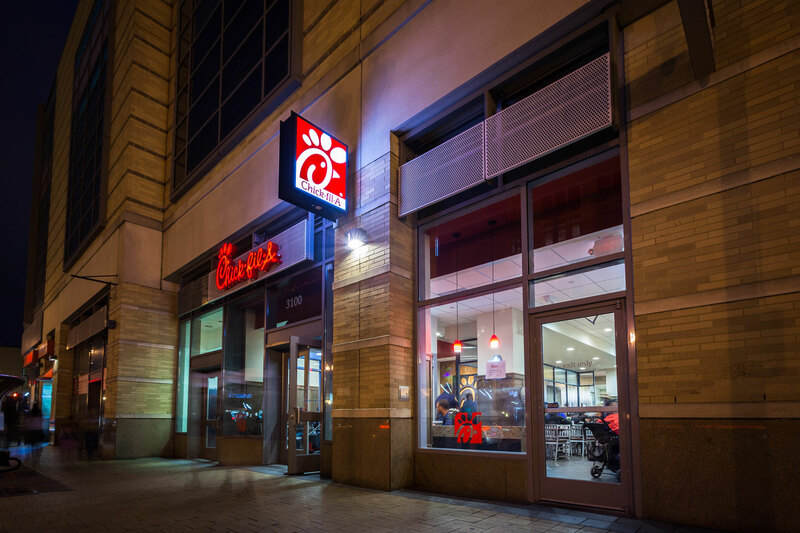 Her patience was rewarded when, after three years, she was selected to be the Operator of Chick-fil-A’s first Washington, D.C. restaurant. When word got out that the owner was a Howard alum, students from her alma mater flocked to the restaurant as a show of support for what they dubbed as the “Howard U Chick-fil-A.” Chesson also employs several students from Howard University and enjoys mentoring local college students. “I have always been inspired by the passion and resilience of underrepresented communities,” says Chesson. “I want people to see that their path to success if not limited by their skin color."